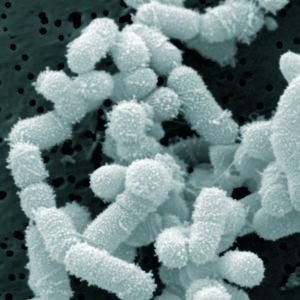 Author SimaPublished on January 17, 2019 February 3, 2019 1 Comment on What Else Can Lactobacillus Sakei Treat? What else can the amazing beneficial bacteria Lactobacilus sakei treat? We know it can treat sinusitis (sinus infections) - based on the original Abreu et al (2012) research, personal experiences, and feedback from hundreds of people since I started this site in 2013. Can it treat bronchitis? Earaches? How about skin infections? L. sakei dominates over and inhibits growth of pathogenic bacteria, including Staphylococcus aureus. Instead of using antibiotics - what else could L. sakei be used for? I've been hearing interesting stories from people - a number of people have found that it (kimchi, sauerkraut with garlic, or a L. sakei product such as Lanto Sinus) works to treat coughs (bronchitis), or prevents upper respiratory infections from developing into serious sinus infections, gets rid of fungal balls in the sinuses, treats earaches, and even treats small skin infections. People have been using the various products in creative ways - all self-experimentation! The experiences of some people contacting me, as well as family members - is that it treated bronchitis and coughs for which they would have taken antibiotics in the past - by swishing L. sakei powder (such as Lanto Sinus) in the mouth (but not in the nose). For example, one person reported that she occasionally gets bronchitis, but never sinusitis - and she successfully used Lanto Sinus to treat the bronchitis by swishing it in the mouth. The first two days she used it 2 x per day, and after that once per day until she felt better, but not totally well - and when she stopped the bronchitis (cough, phlegm) came back. So she used the L. sakei again until she felt totally healthy - and this time the cough stayed away. Since I personally know this person (we take walks together) I was able to observe her progress - cough & phlegm, then improvement, then backwards slide, and then total health when she used the product again. Hmmm... Definitely wasn't an imaginary effect or wishful thinking (placebo effect). Not wanting to dab kimchi juice in the nostrils (the usual way to use kimchi) some gargled with kimchi juice and also swished it in the mouth and then didn't eat or drink for a while - but I don't know how the results compare to the usual kimchi method. One person dabbed kimchi juice in the ear for an earache and thought it helped (see Sinusitis Success Stories). For skin infections some individuals mixed L. sakei with a little water and applied to infection - this has been reported for both frozen Bactoferm F-RM-52 and refrigerated Lanto Sinus. But at any rate, the reports from people of various ways to use a L. sakei product are interesting. Just remember - this is all self-experimentation - which means results can be positive, negative, or no effect. And please be cautious! For ways people use the various Lactobacillus sakei products to treat sinus infections (both chronic sinusitis and acute sinusitis) see the Sinusitis Treatment Summary page. The Best Probiotic For Sinus Infections gives an in-depth look at the different L. sakei products and results. Published on January 17, 2019 February 3, 2019 Categories microbes, probiotics, sinusitisTags bronchitis, chronic sinusitis, earache, kimchi, Lacto Sinus, Lactobacillus sakei, probiotics, sinus infections1 Comment on What Else Can Lactobacillus Sakei Treat?